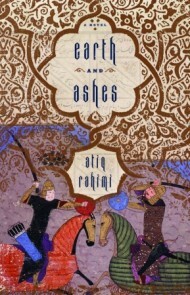 Reading Atiq Rahimi’s works is like reading Scripture. Even in translation, there are fundamental truths that come to the fore with every reading. Last year I read Earth and Ashes (translated by Erdağ Göknar) and The Patience Stone (translated by Polly McLean) and this year I re-read both of these novels before reading A Thousand Rooms of Dreams and Fear (translated by Sarah Maguire and Yama Yari.) I went into these novels expecting to explore the idea of aggregated grief (as somewhat tortuously explained in a comma laden post about Earth & Ashes and; and perhaps better summarized in a year end wrap up) but came away with something completely different: An acute awareness of what social injustice really is. Social injustice is the ultimate in unfairness: To exact payment upon a person or people to their detriment, whether fiscally, physically or psychologically. How the payment is extracted is a matter of degree of cruelty and, perhaps a measure of man’s innate evil; but that topic (evil) will have to wait for another post. For now, let’s get back to the idea of Social Injustice. In Atiq Rahimi’s novels we see this idea illustrated in the context of Afghani culture across the decades. 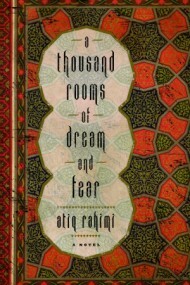 In Earth and Ashes, we see Social Injustice as manifested in the ravages strafed upon civilians during war; In The Patience Stone we see the effects of Social Injustice upon a woman in a Muslim culture and; In A Thousand Rooms of Dream and Fear, we see civil and personal liberties stripped from an individual in an uncivil and impersonal situation. These are all big ideas brought into sharp focus by Rahimi’s little novels. 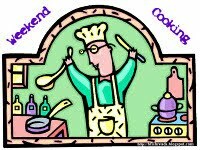 To be aware of Social Injustice is one thing; to do something about it is yet another. How does one make things fair in an unfair world? It is not enough to complain about social iniquities or bring attention to them, the call to action must be answered. It’s an overwhelming and even enervating idea. Bob Geldof organized Band-Aid to provide assistance to the starving people in Ethiopia. Jimmy Carter is close to eradicating the Guinea Worm in Africa. Bill Gates provides technical grants for schools. But what about the average Joe who doesn’t have millions of dollars or political influence? Can one person truly make a difference? Maybe whoever is reading this can’t save the world, a country, a peoples or any given demographic; but I think that if any one of us can help one person get through one night, one day, even one hour that they might not otherwise get through, then yes, one person can make a difference. There are a lot of causes out there. Sometimes the sheer enormity of what is needed can be paralyzing. Sometimes I fell like I’m on a ledge of a tall skyscraper. From the ledge, I can see inside to the wealthy as they enjoy champagne, caviar and temperature controlled penthouses. I look down and I see how far I can fall. And it’s terrifying. I can also see people hanging onto the ledge by their fingernails. Some of those people will refuse my hand, saying it’s not my job to help them, that the rich must help them instead. Others will try and pull me down or; once I’ve helped them, push me aside with indifference as they try to crash inside the penthouse. But hopefully an extended hand might result in someone else joining me on the ledge and maybe even helping others. With this in mind, I’ve starting reaching out from The Ledge. A few weeks ago, I became aware of a local effort to help feed the hungry. Where I live in Southern Oregon, unemployment, homeless and poverty levels are very high, usually hovering around twice the national and state levels; but there are also a lot of people who are willing and able to help and, their collective strength makes a big difference in the Rogue Valley. The Medford Food Project collects food from various communities, and then sorts and distributes the foods to other charities working locally. The way it works is this: The Medford Food Project delivers a reusable green bag to your door. You buy a non-perishable food or grocery item every week and; every eight weeks the green bag is picked up from your front door. Another reusable green bag is left at your door and the Neighborhood Co-Ordinators take the groceries to a sorting center from whence the food & stuff is sent to various food pantries and food banks. Yesterday, I set out my first green bag for collection. There wasn’t a lot of stuff in the bag; but hopefully it was enough that someone, somewhere might be able to get through another meal, another dinner hour, maybe even another day. It’s not much but it’s a start. 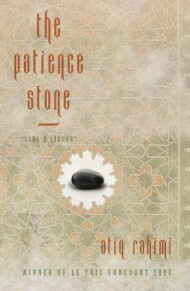 Other Stuff: I probably purchased Earth and Ashes online from Barnes & Noble; I definitely purchased The Patience Stone online from Amazon.com, LLC and; A Thousand Rooms of Dream and Fear online from Barnes & Noble.